Lab work can be uncertain, but your sample images do not have to be. 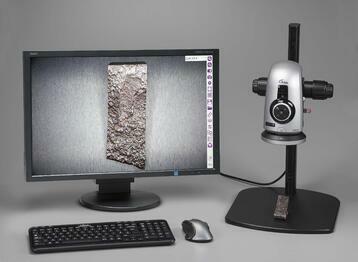 Our new Macro Digital Imaging System is a self-contained, full HD (1080p) digital microscope and measurement system that operates without a PC. The system offers powerful image processing and control while delivering full HD live image quality at 60 frames-per-second, which enables it to be used as a solution for quality control, testing, rework, assembly, inspection, and documentation. Your image analysis will be streamlined, ensuring you won’t miss a thing. Check out additional features here. You need a smoothly running lab to efficiently analyze your samples, and we have you covered. Our full team of customer service and application support specialists will make sure you get the most out of your equipment, acting as a sounding board for any questions you might have along the way. We also offer thorough training on our instruments and technology and accessibility to instrument service programs that keep your instruments in top working order. In addition to our optical solutions, we also offer a complete lineup of metallography products to aide in your materials testing analysis from start to finish. We offer reliable instrumentation for sectioning, hardness testing, mounting, grinding and polishing, and elemental analysis, all of which seamlessly come together to give you results you can count on. 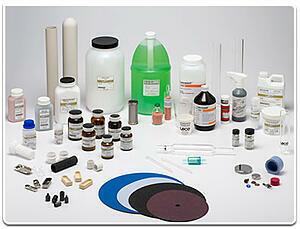 Tell us about your samples and we’ll show you a solution for success!